This spectacular 15th-century château has been owned and run by the same family since the last century. Travel past golden sunflower fields and it emerges through a forested hilltop. The interior pile oozes grandeur with original stone walls, wood panelling, a suit of armour in the hall, and huge fireplaces. Bedrooms are old-fashioned but impressive with antiques and numerous four-posters to choose from. Breakfast can be taken in the “tower room” or on the front lawn. There’s also a pool, children’s play area and a secret arbour within the 20 acres of grounds. 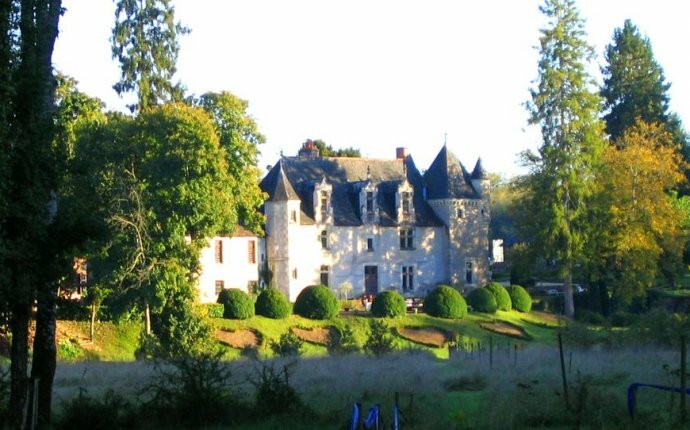 This tranquil manoir lies in a private park in the village of Fresnoy-en-Gohelle. It was built in 1928 to replace a chateau destroyed in the first world war, and the Vimy War Memorial is close by. Light pours in through art deco windows and interiors have been enhanced by the owner’s modern taste. Sofas face a log-burner in the monumental hall, bedrooms are immaculate (satin sheets, electric shutters, smart antiques), and wonderful breakfasts are served at a table set with porcelain. Also on offer are a sauna, a gym, and simple-but-elegant dinners in each first-floor bedroom. Etoges, used as a stopover by French kings on journeys east, is a moated 17th-century château: you pass through the wrought-iron gates then over the footbridge to a little island fortress. The grounds have fountains, lawns and ponds. It is, indeed, fit for a king, from the rooms with their delicate fabrics and linen to the elegant meals with home-grown veg. Opulent bedrooms glow with antiques and fresh flowers. The restaurant, in the orangery, has a fireplace – and if you fancy breakfast in bed, staff will bring it to your lace-covered table.